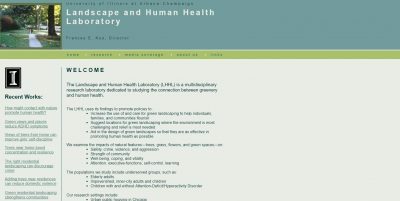 One more link is in the link library – to the Landscape and Human Health Laboratory in University of Illinois at Urbana-Champaign (USA). The following description of the lab you can find on the site. Home- and play-settings from the Mid-west and across the U.S.A. There is not much information on the website, but you can find some details about the lab’s projects, their articles, and contacts.